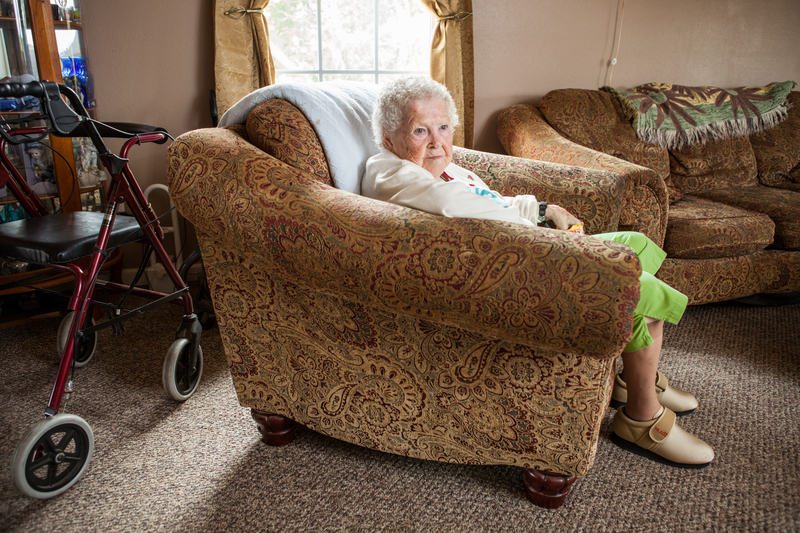 Changes in Tennessee's elderly care policy allowed Delores Powers to return to her family from a nursing home. The state of Tennessee now provides Delores with a day-time caregiver. Her son and daughter-in law, who both work full-time, were concerned about her declining health in the facility, but felt they had no choice but to put her in an environment with constant supervision and care. In the three months since her return home, Delores is more active, walks with her caregiver around the property, does moderate exercises, and enjoys spending time with her son, daughter-in-law, grandchildren and great-grandchildren.